What are the best hotels in Washington, DC? Where is the best area in Washington, DC to stay when you visit? With over 100 hotels in DC and hundreds more in the suburbs, there is no simple answer to this question. But don’t despair! We created this guide to help you figure out where to stay in Washington, DC. We selected the best hotels in Washington DC based on location and reputation and prioritized hotels near DC Metro. We included all of the major hotel brands (Marriott, Hilton, Hyatt and IHG) and some independent properties. We marked any freebies the hotel offers, like free breakfast or happy hour and included links to reviews on TripAdvisor and other reputable websites. Want to know more about these areas before getting started? Check out our 11 recommended areas in Washington, DC video and then navigate this guide by clicking or tapping on one of those areas below. 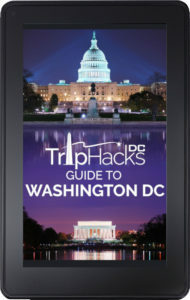 The Trip Hacks DC Guide to Washington, DC e-book is now available on Kindle and Kindle Unlimited! You’re thinking of coming to Washington, DC. Excellent choice! Buy this book if you’re a modern traveler and want insider tips and travel hacks to help plan your trip. This book is not your grandfather’s travel guide. It’s not even designed to replace those dusty old books. Honestly, the value of traditional travel guides for today’s traveler is debatable. In the pre-smartphone days, travel books gave you colorful fold-out maps, big directories with phone numbers for hotels and restaurants so that you could keep all this vital information at your fingertips. 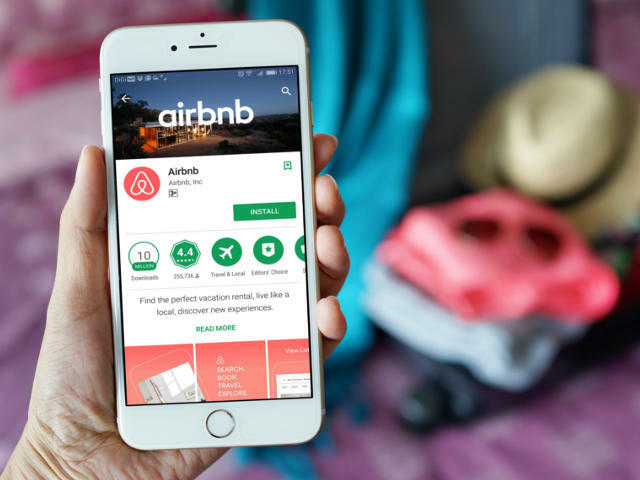 Today there is Citymapper, TripAdvisor and Yelp all just a tap away. You can Google search to find the phone number for any business and have them on the phone in seconds. Why lug around travel directories when everything you need is already inside your smartphone? Trip Hacks DC is all about tips and travel hacks. We wrote this book with the modern traveler in mind. The content that follows is curated to focus on the things we think are most important for planning and enjoying your trip. We cut out all the fluff and the long lists. We cut out the maps, because you can use Google Maps or Citymapper once you’re here. We are not the tourism board and are not trying to sell you on the city. You are considering this book because you want to come to Washington well-informed and equipped with insider guidance. We are excited to share the honest realities of what it’s like to visit Washington, DC.